Americans don’t like inequality. We like to think of ourselves as a middle-class country where the top is not out of reach and the bottom doesn’t pose such a grim, cautionary specter that people fear for their livelihoods. We like to think that’s what makes us different from other societies. Or at least that’s the way it used to be. That shift characterizes America far beyond Baltimore. 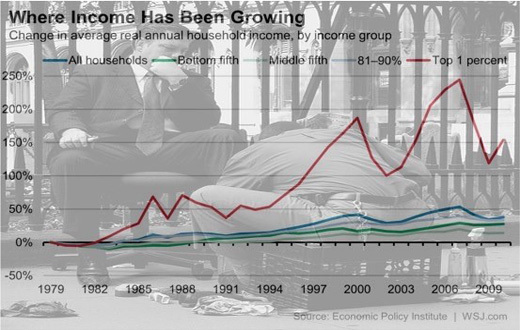 It describes the inequality that has replaced the solid middle class. Most of us have heard that a few very rich families own more than what the 90 percent of the rest of us do. (That’s a global trend: According to a study by Oxfam, 62 people own as much as half the world’s population.) Now recent numbers show incomes for the poorest sliding even after the economic recovery. According to the Brookings Institution average incomes have slipped – despite strong job growth two years in a row. We have failed “to pull millions of Americans back up the economic ladder.” We’re talking about 12 million food service workers making a median wage of $9.20 an hour, or an estimated 64 million workers earning less than $15 an hour. This fundamental inequality parallels other disparities throughout the economy. In 2012 the 400 highest earning taxpayers paid less than 17 percent in federal taxes on average incomes of $336 million. That’s just slightly more than those households who made only $100,000. Similarly over the last year Internet companies grossed about $300 billion, but a mere five of them took 70 percent of it. No wonder the middle class in this country feels anxious. The disparity between the few haves and the mostly have-nots is pervasive. Falling through the economic floorboards was never more likely, and white working-class Americans are feeling the pain. Economist Paul Krugman calls it “existential despair.” The mortality rate for these workers rose half a percentage point each year between 1999 and 2013. That’s half a million additional lives lost to “suicide, alcohol and drug poisonings,” according to a piece in the Atlantic. International trade agreements since the 1990s have shipped well-paying union jobs out of this country and the recent Trans-Pacific Partnership promises the same results. As a Tufts University study shows, TPP likely means lost jobs and greater inequality. Predicting what Congress will do in this election year is almost impossible, but the U.S. Chamber of Commerce is ramping up its efforts to support the pact. Changing the rules to make union organizing easier would help push wages up. Instead, the Supreme Court appears ready to make it tougher to both form a public employee union and for those existing unions to work effectively in the political arena. Congress could put restrictions on executive pay as a ratio of top-to-median incomes and write tax laws to make the super wealthy pay a fair tax rate. But the rich deploy vast teams of tax lawyers to lobby for loopholes or bury legislation that would make those changes. Finally, we could increase the minimum wage across the country so that people could actually live on it. Los Angeles County and five cities in it have adopted a pathway to $15 an hour by 2020. But there are 88 cities in this county. Pushing to get every one of those cities – and cities and counties across the country – to adopt a higher minimum wage faces nearly impossible obstacles. Congress won’t touch it, and even California’s legislature gets nervous thinking about it. Reprinted with permission from the author and Capital and Main. Rev. 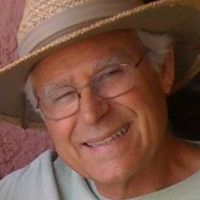 Jim Conn is the founding minister of the Church in Ocean Park and served on the Santa Monica City Council and as that city's mayor. He helped found Clergy and Laity United for Economic Justice, Los Angeles, and was a founder of Santa Monica's renter's rights campaign. Rev. Conn is a regular contributor to Capital & Main.